What the h*ll does that mean? When I applied with them, they said I would be making 40cpm. When I signed the paperwork, I was making 30cpm. Double Barrel, I just woke up five minutes ago and you're already on thin ice. Coming in here on day one insulting people is a terrible start and from the little I can surmise so far you don't know how to handle your own career yet let alone tell others how to handle theirs so chill out a little bit. "Boy oh boy, you're in for a rude awakening when Brett and Old School get a hold of this thread. You've obviously read nothing about Old School's time with Western Express. I'd suggest reading a little more on this site before telling prospective drivers how discontent you are with Western Express." --Paul W.
The above quote is not very nice and hints of a childish "Boy oh boy, you're in big trouble for saying what you said." What would your response be to something of this caliber in tone? I guess I am too much from the world of fairness and being a person of their word and perhaps that is why I do not fit in trucking. I appreciate your response even if not quite fair since you have not experienced what I have in trucking. Thank you again. Hello Im looking at possibly joining western express. They told me they have one opening in Fargo. Which is a dedicated route and will take me to taxas, Louisiana, and back to Fargo. They offered me 40 cpm. I have one year of driving experience. Is this a good deal? This question is aimed at primarily "old school". I am not old school, but I just recently started with Western Express. I am not a dedicated load driver either. I have over two years of driving experience. I am letting you know that I think it is unwise to go with them. I made the mistake of believing everything they said. I am a western regional driver who is currently stuck in IN trying to return home. I don't know anyone at Western Express who drives dedicated. I do know they have an account with Amazon so maybe that is their dedicated fleet. However, as a company driver, I make on average after taxes $200/weekly. It wouldn't surprise me if they promised an offer of dedicated only to have you in orientation telling you that you'll be a northeast/southern regional driver with no dedicated involvement. Also, that 40cpm could really turn out to be 30cpm. My suggestion is to go elsewhere. I hope it all works out in the end for you. Boy oh boy, you're in for a rude awakening when Brett and Old School get a hold of this thread. You've obviously read nothing about Old School's time with Western Express. I'd suggest reading a little more on this site before telling prospective drivers how discontent you are with Western Express. Oh, no! Is this trucking forum specifically aimed at being tattle tales, know-it-alls, and braggarts rather than people being able to let someone else know their experiences and opinions and give honest help and advice. Is it a rule on here that I must peruse and read all posts relating to Western Express before voicing an opinion? If that's the case, I made a grandiose mistake and will try to find a trucking forum that is more open-minded and accepting of someone's opinion and experiences. Thank you for the ostracizing and conservative mental nature displayed through your response to my dealings with Western Express. I can only surmise this specific trucking forum is paid for/endorsed by the larger mega companies as a way of securing more new hires? If so, that saddens me. I see this post hasn't done much in the past six months but I'm hoping someone still follows it. I'm trying to get some Insurance/benefits info on a thread I started. Do any of you on hear feel comfortable sharing what you pay for insurance single/family etc? I think it a good factor to look at when deciding on a company and seeing if they fit your needs. Thanks. Hi there, Rooster. I will be glad to share my health benefit rate with you. I have Blue Cross/Blue Shield of TN, dental and vision as well. I am single and pay $37 weekly. Once I get my yearly physical (which is no cost to me through my medical insurance) and submit that I did a yearly physical to my company (they don't see the results only that you had one done), I believe my weekly rate goes down to $28. Hope this helps somewhat. There's a thread titled "recover a truck" that got me wondering. What is the nastiest thing you've encountered when getting into a "new" truck that had been assigned to another driver before you? The truck i was assigned was fairly clean but smelled like cigarette smoke. I don't smoke so i try to drive with windows down to help air it out. Any horror stories you'd care to share? I am an ex-smoker and currently have a truck that was reeking of smoke. I'm allergic to cigarette smoke. My suggestion is that you purchase some organic orange oil air freshener or that Ozium air neutralizer and spray it everywhere even on all the vinyl/plastic inside of your truck. Keep the windows down for a while as you have been doing. Also, wipe down everything inside your truck after spraying the organic air freshener or neutralizer. Hope this helps. Thank you very much double barrel. Hello, thank you for your response. I did do my research. 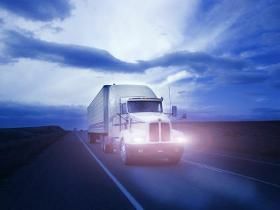 Sometimes, negative information concerning a trucking company can be an isolated incident with a specific driver. Sometimes, it can be how a company overall treats drivers. However, I am in a situation where I was terminated from my prior company where I loved working. I was terminated for three preventable COMPANY ONLY accidents - no monetary loss or monetary damage, no injury. They are not on my DAC as preventable accidents, but if one looks on my DAC in the area for further contact with the company, it states, "No further information will be provided on previous employee. All preventable accidents are deemed company only incidents." After a month of being unemployed (I will insert that I was awarded unemployment pay with the state of CA on my first try) and companies turning me away even though I let them know in detail about the preventable company-only accidents, Melton said I could come aboard with them after 3-6 months of safe driving with another company. Thus, I went with Western Express to obtain my 3-6 months of safe driving because they seemed to be the only mega company that would take me. I thought about going with a mom and pop trucking company, but many of them that I researched via FMCSA Safer Web or just online in general had something sketchy going on, didn't offer medical insurance or only did 1099's when I'd rather be paid with a W2. Are you a rookie with Western Express or another company? Try Interstate Distributor. They have eased up on their experience policy and allow two maximum pets on truck. If you have cats, cats must be declawed. If you contact them, inquire with the recruiter and let them know you have your pets and will not under any circumstance abandon them or give them up in order to work for them. Additionally, they have driving positions that are two weeks on and two days off. I had a friend do that position for a year with them. Are you from Muncie, IN or merely stuck there in your truck? http://lawyers.findlaw.com/lawyer/firm/employment-law-employee/muncie/indiana Interestate Distributor has a terminal in Lebanon, TN. Whatever happens, never abandon the load nor truck and trailer. Deliver the load. Do not drive empty miles home unless authorized via Qualcomm to do so. Always send Qualcomm messages dictating where you left your truck and trailer. Return the truck and trailer to a company terminal, make sure it is clean inside and in proper working order (TAKE PHOTOS or VIDEO RECORD everything, even the Qualcomm messages to and from), have a company representative sign that you gave them back the truck. Get a copy of the signed paperwork stating you gave back the truck. If a company representative refuses to sign that you gave back the truck, take photos of truck with a newspaper from that terminal's city dated for the date you are taking the photos. Or make sure the photos are set with location coordinates of where you are, then they cannot say that you abandoned the truck offsite. Double Barrel, there is so much here that just doesn't make sense. I've never experienced any thing like what you're telling us is happening. First off you list yourself as an experienced driver - all I can say is most experienced drivers know how to get their home time handled. Also your complaining about the load they gave you sending you 150 miles in the wrong direction. That's quite common, and any experienced driver should know that sometimes your route home may go in the wrong direction several times before you finally get there. It's also odd that a western regional driver would be sent to the Norteast, but stranger things have happened. According to the time line you laid out, you've still got five days until the date you requested to be home. I don't understand why you're panicking, that's enough time for a good solo driver to cross the country and get halfway back again! All this talk from you about Qualcomm messages being legally binding contracts, and wanting to get lawyers and the labor board involved makes me think you may vey well be a problem child that needs to step back and take a look in the mirror. I can assure you if you are hard to deal with, they won't mind if you decide to move on, in fact they might even give you a reason to go. I hope I'm wrong about you, but usually a professional and polite conversation with your DM will have this situation handled quickly and painlessly. You didn't really indicate that this is a common experience for you so I'm assuming it's something new. I wouldn't panic like this and start posting on forums when you're still five days away from your requested home time. Those dates you request are never set in stone, and they certainly aren't legal contracts. I'm not trying to insult you, but you just sound like a rookie that doesn't have the experience yet at knowing how to deal with dispatch in a professional way. Hang tight - talk calmly and professionally with your dispatcher on Monday. You're not so far away that they can't get you home. I'll bet they have you home by no later than the Monday following the Friday you requested. One more curiosity of mine, are you a lease operator, or being paid percentage pay? I don't understand why you're complaining about "low paying loads." I might add that I have read numerous accounts of Western Express not getting drivers home at all even if the home time request was approved. Also, I neglected to finish my paragraph concerning the suspect online survey I filled out on a Friday the last month of May. In addition to letting them know the communication was suffering, I wrote that the pay was also suffering. Another question the survey asked was if I would refer another driver to the company to which I replied "No." Additionally, another question asked if I would stay with the company for the long run of it, I responded "No" if the low weekly pay would continue. The next day, I was given that load from CA to NH. The only thing I could think of was that they read my survey answers and decided to stick me out in the northeast where I would be far away from home and not close to my home terminal where I could easily resign with a two weeks notice or immediate departure. Of course, I would always return the truck and empty trailer to my home terminal. I would never abandon a load either since it technically belongs to a consignee who has nothing to do with the politics of a trucking company's treatment/mistreatment of an employee. I don't believe in revenge, never solves anything. However, I don't believe in being the punching bag either. I consider myself as a person who compromises. I have done every load they have asked me to do with the exception of a new load after they cancelled a previous load while I was in transit to the shipper. I let them know I had to see a Qualcomm message stating I would be paid for the 80 empty miles of travel. Moreover, my DM stated that the planner promised I would be paid for them. As of my paycheck this Friday, those 80 empty miles haven't appeared on my paycheck. Also, I have heard stories where Western Express will give a driver a load in route to home that the driver ends up hanging onto while on hometime only to be delivered after they return from hometime. If I end up getting back to Fontana, CA the following Monday 07/18/2016, after all my numerous experiences of being let down, I do not want them sticking me with a held over load that has to deliver on Wednesday 07/20/2016 since that is the date I specified I would return to work. I do not want them to cut my days short. I am a company driver who is paid on a scale and on per diem. 1-100 miles is 61cpm. 101-300 miles is 20cpm, and 301 miles plus is 16cpm. Per diem/travel allowance is at 14cpm. Hello, sir. Thank you for your response. First of all, I have been driving two years and three months. Should I put on my personal description that I am still a rookie? I was told by a few other fellow drivers that after two years of driving professionally that it changed a driver's status. I work for Western Express. This is my third month of employment with them. Yes, I agree that it sounds strange that a western regional driver would be sent out northeast, but I was. In orientation, the W.E. representative prewarned us that if we were to accept a load out of the western region, such as Texas, that we shouldn't be surprised if we're sent to New York City afterward. As stated above, I didn't send any Macros accepting the preplan nor the load itself. I understand what you are stating about "panick". Normally, I do not panick. With my previous company, I would stay on truck for four months at least because I knew I could submit my home time request within two weeks and get home on time. However, this entire month of being trapped over in the northeast and low paying runs has put me in a financial situation where I am somewhat at the mercy of taking all the loads that I can even if it turns out after taxes that I make $200 for the week. On average, when I was doing western regional, I was making less than that weekly. My best pay with Western Express was the load I took to get to the northeastern U.S. That was around $900 after taxes. Each time I would pick up a trailer whether it was empty or preloaded, there would always be something that needed to be fixed. I am not one of those drivers that will drive illegally nor leave the task of repair to the next driver. Furthermore, I was at their Bethlehem PA terminal shut down for a week since my truck's A/C was not working correctly. However, they only pay three days maximum for breakdown. So paired with being out of service for repairs and driving 1000 miles maximum per week, my weekly paychecks have not been something one can survive on. Also, I do talk courteously and professionally to my driver manager. My background is actually customer service and office positions. When I attended university, my major was English so I am well versed in speaking proper English and extending courtesy and respect in a two-dimensional format of communication. My driver manager is the third manager I've had since being at this company and I was put on her fleet when I was in transit to NH unbeknownst to me. They have a habit of switching one's driver manager and do not tell you about it. They had two driver managers resign when I started employment. I am suspect concerning a company newbie survey I filled out online on a Friday the last week of May. It inquired my impression of the company. I thought the survey was to help them better themselves as a company. Thus, I responded honestly and stated that their Qualcomm communication was lacking and that it was difficult to speak to someone on the phone because no one would answer. Do you work for one of the Megas? Most of them make it a point to honor Hometime requests. I work for Swift, they have a reputation of making sure drivers get home as close as possible to requested dates. If you work for a smaller Carrier, freight towards home can be a problem. At least they aren't keeping you parked! Yes, sir. I work for Western Express. Well, they keep me parked on the weekends even if I still have sixty hours left to drive. Thank you. Hello and than you for reading my inquiry and/or providing solutions. I appreciate any advice given. I am a western regional driver who was sent on a load from southern CA to NH. I didn't accept the preplan nor load. It was forced dispatched onto my truck. My company stuck me out in the northeast U.S. for a month doing low paying loads. Additionally, my DM gave me hope that she would get me back to my home terminal in Fontana, CA. However, then she let me know there were barely any loads going back to CA and that the planner would "load me up" over in the northeast. In order to get back home after being let down, I put in home time request three weeks in advance for Friday, July 15, 2016. I figured that would give them enough time to get me home on time. No such luck. It is now Sunday, 07/10/2016 and I am in Lake Station, IN. My DM isn't in the office until tomorrow. Weekend dispatch gave me a load for tomorrow, Monday 07/11 for pick up in Des Plaines, IL to delivery in Knoxville, TN. I haven't accepted the preplan or load and once again it was forced dispatched onto my truck. This load, if I pick it up, will just add 150 more miles to the 2016 miles I am already distanced from my home terminal. Any sound and pertinent advice is welcome. Thank you again.